Couples for Christ marks 15 years in Ireland this weekend with a special gathering, the highlight of which will be Mass celebrated by the Bishop of Kildare and Leighlin, Denis Nulty. 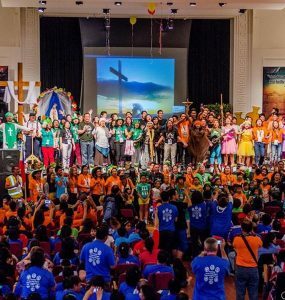 The group has been operating in Ireland since 2002 when a missionary couple from the UK facilitated the first Christian Life Program (CLP) at the Redemptorist Church at Marianella in Dublin. Over the years it has gathered hundreds of members in Ireland, including children. 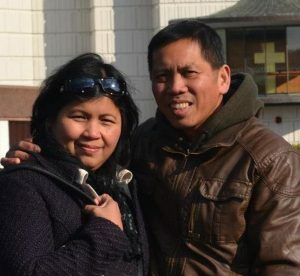 Couples for Christ began in 1981 in Manila, the Philippines, when a local Christian community tried a new approach in evangelising married couples. Newly-weds or engaged couples were brought together in a private home. There, working through the weekly CLP, they learnt about faith and discovered a living relationship with Jesus Christ. In 1994, several offshoot family ministries were born from the movement, like Singles for Christ (SFC) for single men and women aged 23 to 40, Youth for Christ (YFC) for boys and girls ages from 12 to 22 years old, Kids for Christ (KFC) for children aged 4 to 11, and two other groups where only one spouse gets involved in the spirituality. “Our mission is to build the Church of the home and of the poor,” National leader Efren Bagares told CatholicIreland.net. Couples for Christ sees the family as a work of God, and the basic unit of society. But they are all too aware of the forces in the world today undermining it. “CFC wants to rise in defence of the family, and bring God’s strength and light to those who are struggling to be truly Christian families in the modern world,” says its international website. Today the movement has spread to over a hundred countries, with hundreds of thousands of members, although it remains predominantly Filipino. The 15th anniversary celebration takes place in Naas, Co. Kildare. Bishop Denis Nulty will celebrate the ‘Milestone’ Mass for the group at 5.30 pm in the Church of Our Lady and St David. In the course of the Mass, couples celebrating their 5th, 10th, 15th, 20th and even 25th wedding anniversaries will renew their marriage vows. Couples for Christ and its other family ministries are currently present in Kildare, Tralee, Letterkenny, Sligo, Northern Ireland and Cavan-Monaghan. “We continue to grow all over Ireland and invite you to join this work of evangelisation, to renew the face of the earth,” said Mr Bagares.